STRANGE NATION by Juan Romera + Paul Allor is one of my favourite new titles from Monkeybrain Comics and I hope you checked it out – it’s gonzo conspiracy insanity with all the pulp you need. Starting in issue #2, I’m running a back matter column called HIGH LITERATURE & LOW MONSTERS. This is the back matter I was born to write because it’s just me shooting holes in cheese while I discuss tabloid paper fodder and its portrayal in all media – from film, to tv, to books, to the hallowed four colour page. It’s just a whole mess to write, and research. Also, Juan did a hell of a job on that banner illo, right? This week’s issue, which drops this Wednesday on ComiXology, is one mighty fine issue and I’m really glad to kick off my study with Bigfoot. See how the iconic furball fares in the media saturation test. Also, as always, if you purchase the issue straight off the ComiXology site not only does that save a third of your money going straight to Apple but the issue will instantly be available for download on your iDevice anyway. Be creator friendly, buy online. 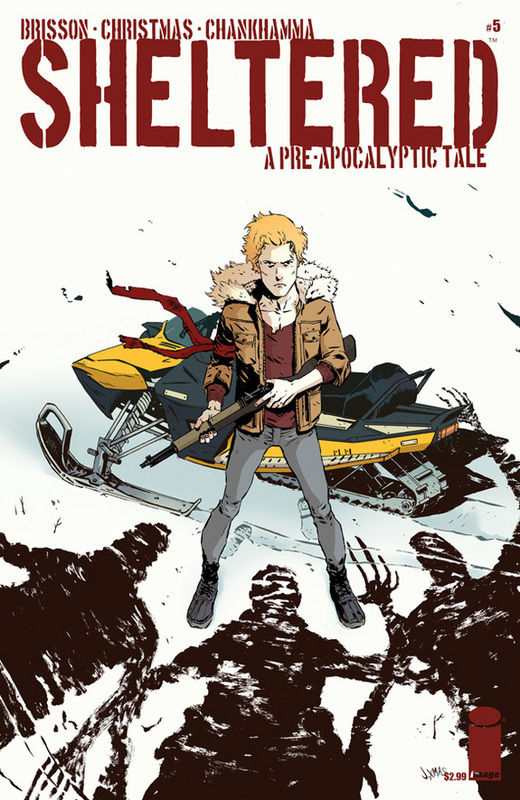 SHELTERED #5 drops this week from Johnnie Christmas, Shari Chankhamma, and Ed Brisson. It’s sublime, as always, and you should buy it. To make the pot sweeter, I have a back up essay as the PrepCast Newsletter and this month I discuss SOLAR STORMS, which was super fun to research and learn about. Fascinating topic. I hope you dig the essay and I know you’ll dig the comic. 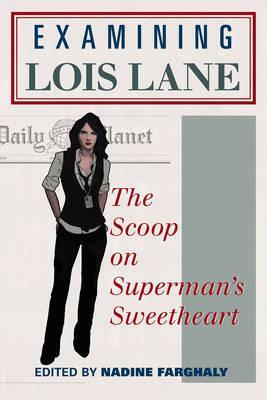 Examining Lois Lane: the scoop on Superman’s Sweetheart is a book of essays all about the intrepid reporter and all round fantastic character Lois Lane. It is edited by Nadine Farghaly, published by Scarecrow Press, features a slew of smart people talking about Lois Lane, and it also opens with an essay from me. You can buy a copy now on Amazon in print or Kindle-fied. My essay is titled: “Full Disclosure: A Statement of Love for Lois Lane” and it analyses one fantastic issue of ALL STAR SUPERMAN by Frank Quitely and Grant Morrison. It’s a fun essay, one I enjoyed writing because it cuts to the core of the relationship between Superman and Lois Lane. Other essays tackle heady topics like Lois Lane’s place on television, in Silver Age comics, and on the big screen. It’s well worth a look for any solid Lois Lane fan. And you can actually read all of my essay, bar one page, in the ‘Look Inside’ preview up on Amazon.